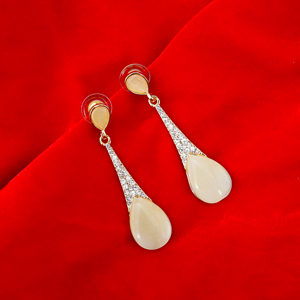 You might have been wondering as how to impress dearest sister on the day of Raksha Bandhan? 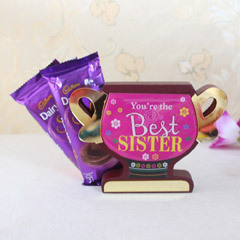 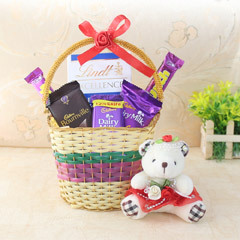 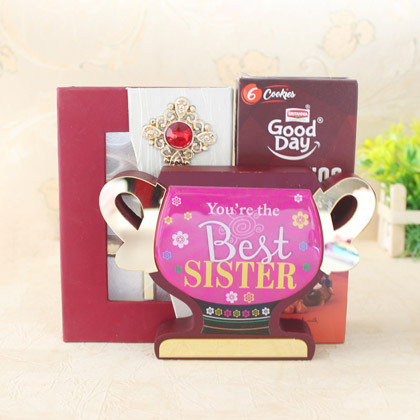 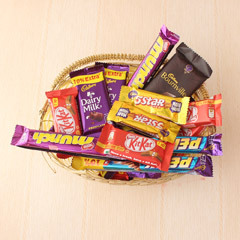 If yes then you are at the right place as here we are offering you this fabulous Rakhi gift hamper of yummy chocolates and cookies with a heart winning trophy shape table top with Best Sister text. 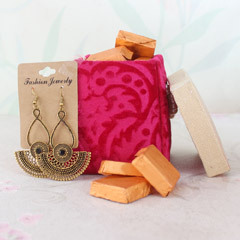 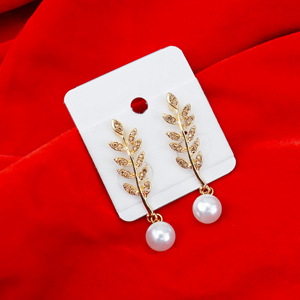 No wonder, she will admire your thoughtfulness of gifting it to her.